Audit management software helps companies streamline their audit processes and comply with regulations or internal policies. This type of software is used to define, implement, and monitor auditing procedures for multiple purposes, such as quality management, health, and safety, or environmental protection. Audit management software is most often used in heavily regulated industries such as chemicals, pharmaceuticals, health care, or food and beverage. Audit management tools can be used by compliance professionals or by operations managers to schedule audits and analyze results. Employees from departments such as manufacturing or distribution use this type of software to implement audit procedures and report the results to their managers. External auditors can also benefit from using the audit information captured and managed using audit management software. This type of software should not be confused with financial auditing software. Audit management software should cover multiple types of audits for all departments of a company. To deliver optimal results, audit management software needs to consolidate data from various systems such as quality management software, ERP systems, enterprise asset management software, or environmental health and safety software. Audit Management reviews by real, verified users. Find unbiased ratings on user satisfaction, features, and price based on the most reviews available anywhere. 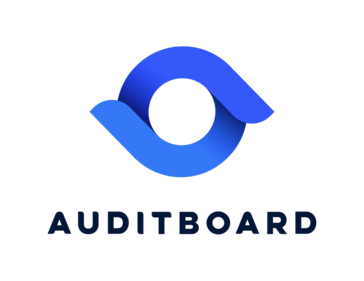 AuditBoard is a leading cloud-based platform transforming the way enterprises automate, collaborate and report in real-time on critical risk, audit and compliance workflows. The company offers a full suite of easy-to-use audit management and compliance solutions for SOX, controls management, operational audits, ERM and workflow management. AuditBoard’s clients range from industry-leading pre-IPO organizations to Fortune 50 companies looking to streamline their accounting and audit functions. For more information, visit www.auditboard.com. TeamMate Audit is a comprehensive audit management system designed to help auditors and audit department leadership manage all aspects of the audit process. TeamMate allows your institution to identify risk and create assessment reports, schedule projects and allocate resources, capture time and expenses, track audits and issues, and create and manage audits via an advanced electronic working papers database. Vyapin SharePoint Management Suite enables organizations to manage, administer, govern, audit and monitor their SharePoint servers. Checkbuster is an online solution that enables you to keep checklists and perform audits & inspections. You can create your own checklist (in every language) and invite team members and clients to conduct inspections from their mobile devices for you. Add images and remarks to inspection items and create a task for a colleague during the inspection. When you finish your inspection the inspection report is automatically created. You can even add your own logo and layout to the report. With our management dashboard, you will have a full insight into all inspection results. Drill down into the results to get a clear view where the issues occur. The most comprehensive and effective inspection checklist system in existence having been used to conduct more than 13 million inspections by companies of all sizes and types throughout North America. Fastpath Audit Trail monitors and tracks all changes to critical systems data within the target system. Ideagen Audit Management is an audit management software products deliver a complete integrated audit management solution for the audit lifecycle from planning and execution through to reporting. StrongDM offers secure access management to all the databases. AnyAudit provides simple and secure audit life cycle management solution. AuditComply enables modern businesses operating in highly regulated industries to manage their compliance demands and provides a new level of visibility through our Analytic dashboard, instantaneous report generation, issue tracking and in-depth analytics. AuditDesktop carefully combines Governance, Enterprise risk management and Compliance functionalities to automate the complete process of planning, conducting and documenting an audit and to provide a solution that enhances the performance of audit organizations while making auditor life easier. AuditFindings is web-based tool for audit issues tracking is easy-to-use and eliminates the pitfalls of using spreadsheets. Its a robust issue management system designed for audit and compliance departments. Audit Management Ba-PRO is an application for supporting the internal audit process. It allows you to set up your own audits / questionnaires web based but also use predefined audit forms. AuditOnline is a fully-featured Audit management system, empowering day to day users to complete, respond, report and action on all standards within an organisation to become and remain compliant, e.g CQC. 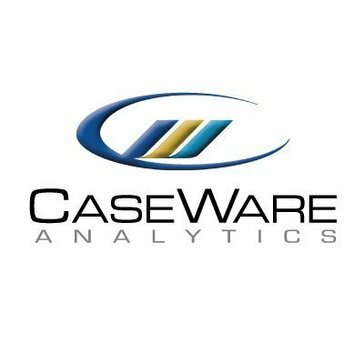 Tablet/smartphone technology links direct to a powerful analytics portal comprehensively managing, automating and mandating action plans. Audit Pro is a web-based application that helps an organization manage, schedule, assign, and monitor the status of audits, and the Corrective Actions for any internal audit. Audit Prodigy helps deliver complex Internal Audit, SOX and Compliance programs by leading small and large teams and partnering with leadership, audit committees and audit partners. Audits.io is a risk management software that helps to attach images and other files, assign and notify responsible people, and share the automated PDF-reports to stakeholders and analyze bottlenecks and trends from the real-time statistics. Canarys is a comprehensive solution provider specialized in Application development, maintenance and testing across a broad spectrum of domains. Envelop is a risk management, audit workflow, and document management system. You can easily create and manage risks, audits, attach work papers and create reports. Our software allows you to design, store and manage audits with ease, allowing you to dramatically improve compliance and reduce risk across the organisation. Quickly create templates for inspections, maintenance, maintenance, reports, and audits. Effortlessly. With no programming knowledge needed. Publish these on a range of different tablets and devices. Fraud can have a substantial impact on your organization through not only financial loss, but it can also jeopardize compliance with regulations, damage morale, and affect market confidence and share value. Given that the typical organization loses a consistent amount of revenues to fraud and that it takes on average 18 months to uncover fraudulent activities, companies should be considering ways to proactively monitor their financial transaction to expose early indicators of fraud, error, and abuse. Create assessments, surveys, inspections and on-line forms to collect data. Discover trends and gaps to gain insight and inform decisions. Conduct audits and safety inspections on mobile. Save time and conduct audits and safety inspections in a completely digital way! Specialized programs, sophisticated management, and your highest quality unbiased feedback. MindBridge Ai Auditor revolutionizes financial analysis as the worlds first and only AI powered auditing platform. Iristrace simplifies Governance, Risk, and Compliance (GRC) processes by bringing the digital transformation to the front lines. The Laser Audit Reporting System (LARS)is a web-based solution that puts you in control of the complete audit lifecycle by establishing a systematic, disciplined and a uniform process for internal audit management. Get real-time completion status of ongoing audits at all locations. Centrally manage audit planning, audit programs, work papers and fieldwork and coordinate information among Auditors, Auditees and Management at all levels of organization. LPA Admin is a hosted, web-based application, making it inexpensive to implement and maintenance free. Creates a lean administrative answer to meeting layered process audit requirements which is simple to use and provides immediate access to information. CAMS (Compliance Auditing Management System) allows you to easily create your own audits, questions, and scoring. You can create as many audits as required within your organization. Automatic e-mailing to store, district, and regional managers combined with built-in-reports allow you to get real-time and historical analysis of audit data. The MetricStream Internal Audit Management App accelerates audit cycles, helps improve audit strategies, reduces audit costs, and enhances auditor productivity. Intuitive audit and incident management for compliance and risk management teams focused on improving operations and results. MKinsight is the next generation in Audit Management Software with its use of .Net technologies. MKinsight is available to teams both large and small across the World via flexible pricing models which include our groundbreaking full Subscription Service which has been specifically aimed at individuals and small teams who can have full access to MKinsight for a small monthly subscription fee. Niftysol is an innovation-driven cloud-based solutions provider for Small and Medium Businesses (SMBs/SMEs) across different industry verticals. Nimonik offers an easy to use platform for audits, inspections and staying up to date on environmental, health and safety law. You can schedule audits, training and other corporate obligations. Our legislative database includes updates, laws and audit protocols for over 65 countries. AMS9000 is the audit management software within the JKT9000 family of quality management software modules. A set of solutions enabling Banks to comply with industry regulations and avoid potential legal risks. Provides a user-friendly Windows interface (via notebook at customer site) for physical audits. Using industry standard tools, JKT supplies excellent products to help you with internal audit management, corrective and preventive action, document control, training, quality control and machine maintenance. We provide complete solution for Audit Management. This includes option for managing Internal Audits, Supplier Audits, 3rd Party Audits. R-CAP Audit Life-Cycle and Risk Management Solution leverages on the latest technology and brings Audit Universe & KPIs at your fingertips by offering Mobility, Collaboration & Smart Editing. R-CAP features include: Observations Tracking, Risk & Controls Matrix, Regular Business Monitoring, Audit Timesheet Management, Insightful Dashboards & Reports, and Efficient Workpaper Documentation. SECONDLOOK handles the entire QC process in one, easy-to-use system. The Secretary 2000 is an window-based software application designed for secretarial firms to systematically and effectively handle, manage the corporate companys profiles and statutory status. It integrates, compiles, analyzes, transfers and displays data into practical statutory forms, resolutions and documents in a quality and professional presentation that is conformed to the local ROC rules and regulations. Sentinel gives you the tools to mitigate security risks, improve compliance and reduce the cost of PeopleSoft Security administration. An extremely flexible and evolved computer system according to the current technological standards, which allows the realization of any solution to implement its own Internal Control methodology in a quick and reliable way. Hi there! Can I help you find the best Audit Management solutions?